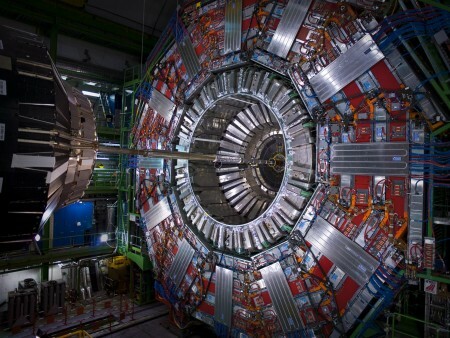 Six years after discovery, Higgs boson validates a prediction. Soon, an upgrade to Large Hadron Collider will allow CERN scientists to produce more of these particles for testing Standard Model of physics. Six years after the Higgs boson was discovered at the CERN Large Hadron Collider (LHC), particle physicists announced last week that they have observed how the elusive particle decays. The finding, presented by ATLAS and CMS collaborations, observed the Higgs boson decaying to fundamental particles known as bottom quarks. In 2012, the Nobel-winning discovery of the Higgs boson validated the Standard Model of physics, which also predicts that about 60% of the time a Higgs boson will decay to a pair of bottom quarks. According to CERN, “testing this prediction is crucial because the result will either lend support to the Standard Model — which is built upon the idea that the Higgs field endows quarks and other fundamental particles with mass — or rock its foundations and point to new physics”. The Higgs boson was detected by studying collisions of particles at different energies. But they last only for one zeptosecond, which is 0.000000000000000000001 seconds, so detecting and studying their properties requires an incredible amount of energy and advanced detectors. CERN announced earlier this year that it is getting a massive upgrade, which will be completed by 2026. Particle physics probes nature at extreme scales, to understand the fundamental constituents of matter. Just like grammar and vocabulary guide (and constrain) our communication, particles communicate with each other in accordance with certain rules which are embedded in what are known as the ‘four fundamental interactions’. The particles and three of these interactions are successfully described by a unified approach known as the Standard Model. The SM is a framework that required the existence of a particle called the Higgs boson, and one of the major aims of the LHC was to search for the Higgs boson. How are such tiny particles studied? Protons are collected in bunches, accelerated to nearly the speed of light and made to collide. Many particles emerge from such a collision, termed as an event. The emergent particles exhibit an apparently random pattern but follow underlying laws that govern part of their behaviour. Studying the patterns in the emission of these particles help us understand the properties and structure of particles. Initially, the LHC provided collisions at unprecedented energies allowing us to focus on studying new territories. But, it is now time to increase the discovery potential of the LHC by recording a larger number of events. So, what will an upgrade mean? After discovering the Higgs boson, it is imperative to study the properties of the newly discovered particle and its effect on all other particles. This requires a large number of Higgs bosons. The SM has its shortcomings, and there are alternative models that fill these gaps. The validity of these and other models that provide an alternative to SM can be tested by experimenting to check their predictions. Some of these predictions, including signals for “dark matter”, “supersymmetric particles” and other deep mysteries of nature are very rare, and hence difficult to observe, further necessitating the need of a High Luminosity LHC (HL-LHC). Imagine trying to find a rare variety of diamond amongst a very large number of apparently similar looking pieces. The time taken to find the coveted diamond will depend on the number of pieces provided per unit time for inspection, and the time taken in inspection. To complete this task faster, we need to increase the number of pieces provided and inspect faster. In the process, some new pieces of diamond, hitherto unobserved and unknown, may be discovered, changing our perspective about rare varieties of diamonds. Once upgraded, the rate of collisions will increase and so will the probability of most rare events. In addition, discerning the properties of the Higgs boson will require their copious supply. After the upgrade, the total number of Higgs bosons produced in one year may be about 5 times the number produced currently; and in the same duration, the total data recorded may be more than 20 times. With the proposed luminosity (a measure of the number of protons crossing per unit area per unit time) of the HL-LHC, the experiments will be able to record about 25 times more data in the same period as for LHC running. The beam in the LHC has about 2,800 bunches, each of which contains about 115 billion protons. The HL- LHC will have about 170 billion protons in each bunch, contributing to an increase in luminosity by a factor of 1.5. The protons are kept together in the bunch using strong magnetic fields of special kinds, formed using quadrupole magnets. Focusing the bunch into a smaller size requires stronger fields, and therefore greater currents, necessitating the use of superconducting cables. Newer technologies and new material (Niobium-tin) will be used to produce the required strong magnetic fields that are 1.5 times the present fields (8-12 tesla). The creation of long coils for such fields is being tested. New equipment will be installed over 1.2 km of the 27-km LHC ring close to the two major experiments (ATLAS and CMS), for focusing and squeezing the bunches just before they cross. Hundred-metre cables of superconducting material (superconducting links) with the capacity to carry up to 100,000 amperes will be used to connect the power converters to the accelerator. The LHC gets the protons from an accelerator chain, which will also need to be upgraded to meet the requirements of the high luminosity. Since the length of each bunch is a few cm, to increase the number of collisions a slight tilt is being produced in the bunches just before the collisions to increase the effective area of overlap. This is being done using ‘crab cavities’. The experimental particle physics community in India has actively participated in the experiments ALICE and CMS. The HL-LHC will require an upgrade of these too. Both the design and the fabrication of the new detectors, and the ensuing data analysis will have a significant contribution from the Indian scientists. The Large Hadron Collider is stopping proton collisions for five days this week to undergo numerous tests. Accelerator specialists need to test the LHC when it is not in production mode and there are only several weeks left in which they can do it. At the end of the year, CERN’s accelerators will be shut down for a major two-year upgrade programme that will result in a renovated accelerator complex using more intense beams and higher energy. Scientists are conducting research to prepare for this new stage and the next, the High-Luminosity LHC. “We have many requests from CERN’s teams because these periods of machine development allow components to be tested in real conditions and the results of simulations to be checked,” says Jan Uythoven, the head of the machine development programme. No fewer than twenty-four tests are scheduled for what will be this year’s third testing period. One of the major areas of research focuses on beam stability : perturbations are systematically tracked and corrected by the LHC operators. When instabilities arise, the operators stop the beams and dump them. “To keep high-intensity beams stable, we have to improve the fine-tuning of the LHC,” Jan Uythoven adds. Extensive research is therefore being carried out to better understand these instabilities, with operators causing them deliberately in order to study how the beams behave. The operators are also testing new optics for the High-Luminosity LHC or, in other words, a new way of adjusting the magnets to increase the beam concentration at the collision points. Another subject of the study concerns the heat generated by more intense future beams, which raises the temperature in the magnet’s core to the limit of what is needed to maintain the superconducting state. Lastly, tests are also being carried out on new components. In particular, innovative collimators were implemented at the start of the year. Collimators are protective items of equipment that stop the particles that deviate from the trajectory to prevent them from damaging the accelerator. After this five-day test period, the LHC will stop running completely for a technical stop lasting another five days, during which teams will carry out repairs and maintenance. The technical stop will be followed by five weeks of proton collisions before the next period of machine development and the lead-ion run. In 2014, the United States particle physics community set its priorities for the coming years using recommendations from the Particle Physics Project Prioritization Panel, or P5. In 2020, the European community will refresh its vision with the European Strategy Update for Particle Physics. LB:What do you hope to achieve with the next European Strategy Update for Particle Physics? HA: Europe is a very good example of the fact that particle physics is very international, because of the size of the infrastructure that we need to progress, and because of the financial constraints. LB: How do you decide when to revisit the European plan for particle physics? HA: Once the Higgs was discovered, it became clear that it was time to revisit the strategy, and the first update happened in 2013. The recommendation was to vigorously pursue the preparations for the high-luminosity upgrade of the [Large Hadron Collider]. The high-luminosity LHC program was formally approved by the CERN Council in September 2016. By the end of 2018, the LHC experiments will have collected almost a factor of 10 more data. It will be a good time to reflect on the latest results, to think about mid-term plans, to discuss what are the different options to consider next and their possible timelines, and to ponder what would make sense as we look into the long-term future. LB: What’s the difference between a strategy and a roadmap? HA: The roadmap is about prioritizing the scientific goals and about the way to address them, while the strategy covers also all the different aspects to consider in order to make the program a success. For example, outreach is part of the strategy. We have to make sure we are doing something that society knows about and is interested in. Education: making sure we share our knowledge in a way which is understandable. Detector developments. Technology transfer. Work with industry. Making sure the byproducts of our activities can also be used for society. It’s a much wider view. LB: What is your role in this process? HA: The role of the secretary of the strategy is to organize the process and to chair the discussions so that there is an orderly process. At this stage, we have one year to prepare all the elements of the process that are needed—i.e. to collect the input. In the near future we will have to nominate people for the physics preparatory group that will help us organize the open symposium, which is basically the equivalent of a town-hall meeting. LB: Can you tell us a little about your background and how you came to serve as the chair for European Strategy Update? HA: That’s a good question. I really don’t know. I did my PhD in 1978; I was one of the youngest PhDs of Warsaw University, thus I’ve spent 40 years in the field. That means that I have participated in at least five large experiments and at least two or three smaller projects. I have a very broad view—not necessarily a deep view—but a broad view of what’s happening. LB: There are major particle physics projects going on around the world, like DUNE in the US and Belle II in Japan. How much will the panel look beyond Europe to coordinate activities, and how will it incorporate feedback from scientists on those projects? HA: This is one of the issues that was very much discussed during my visit. We shouldn’t try to organize the whole world—in fact, a little bit of competition is very healthy. And complementarity is also very important. LB: How do you see Europe working with Asia, in particular China, which has ambitions for a major collider? HA: Collaboration is very important, and at the global level we have to find the right balance between competition, which is stimulating, and complementarity. So we’re very much hoping to have one representative from China in the physics preparatory group, because China seems to have ambitions to realize some of the projects which have been discussed. And I’m not talking only about the equivalent of [the Future Circular Collider]; they are also thinking about an [electron-positron] circular collider, and there are also other projects that could potentially be realized in China. I also think that if the Chinese community decides on one of these projects, it may need contributions from around the world. Funding is an important aspect for any future project, but it is also important to reach a critical mass of expertise, especially for large research infrastructures. LB: This is a huge effort. What are some of the benefits and challenges of meeting with physicists from across Europe to come up with a single plan? HA: The benefits are obvious. The more input we have, the fuller the picture we have, and the more likely we are to converge on something that satisfies maybe not everybody, but at least the majority—which I think is very important for a good feeling in the community. LB: And that input is what you’re aiming to get by December 2018? LB: How far does the strategy look out? HA: It doesn’t have an end date. This is why one of the requests for the input is for people to estimate the time scale—how much time would be needed to prepare and to realize the project. This will allow us to build a timeline. LB: Do you see any particular topics that you think are likely to come up in the discussion? HA: There are many questions on the table. For example, should we go for a proton-proton or an [electron-positron] program? There are, for instance, voices advocating for a dedicated Higgs factory, which would allow us to make measurements of the Higgs properties to a precision that would be extremely hard to achieve at the LHC. So we will have to discuss if the next machine should be an [electron-positron] machine and check whether it is realistic and on what time scale. The Large Hadron Collider (LHC) is the most famous and powerful of all CERN’s machines, colliding intense beams of protons at an energy of 13 TeV. 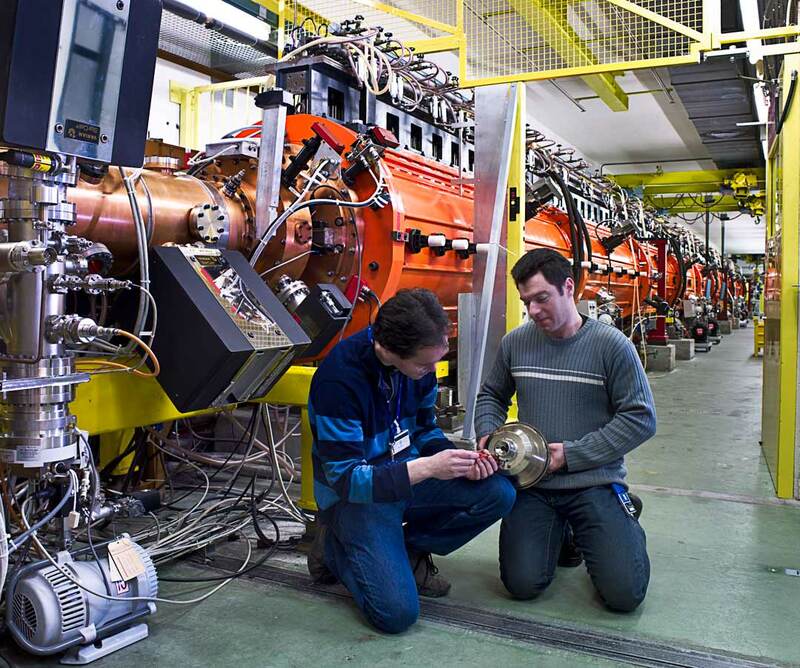 But its success relies on a series of smaller machines in CERN’s accelerator complex that serve it. The LHC’s proton injectors have already been providing beams with characteristics exceeding the LHC’s design specifications. This decisively contributed to the excellent performance of the 2010–2013 LHC physics operation and, since 2015, has allowed CERN to push the machine beyond its nominal beam performance. Built between 1959 and 1976, the CERN injector complex accelerates proton beams to a kinetic energy of 450 GeV. It does this via a succession of accelerators: a linear accelerator called Linac 2 followed by three synchrotrons – the Proton Synchrotron Booster (PSB), the Proton Synchrotron (PS) and the Super Proton Synchrotron (SPS). The complex also provides the LHC with ion beams, which are first accelerated through a linear accelerator called Linac 3 [nand the Low Energy Ion Ring (LEIR) synchrotron before being injected into the PS and the SPS. The CERN injectors, besides providing beams to the LHC, also serve a large number of fixed-target experiments at CERN – including the ISOLDE radioactive-beam facility and many others. Part of the LHC’s success lies in the flexibility of the injectors to produce various beam parameters, such as the intensity, the spacing between proton bunches and the total number of bunches in a bunch train. This was clearly illustrated in 2016 when the LHC reached peak luminosity values 40% higher than the design value of 1034 cm–2 s–1, although the number of bunches in the LHC was still about 27% below the maximum achievable. This gain was due to the production of a brighter beam with roughly the same intensity per bunch but in a beam envelope of just half the size. Despite the excellent performance of today’s injectors, the beams produced are not sufficient to meet the very demanding proton beam parameters specified by the high-luminosity upgrade of the LHC (HL-LHC). Indeed, as of 2025, the HL-LHC aims to accumulate an integrated luminosity of around 250 fb–1 per year, to be compared with the 40 fb–1 achieved in 2016. For heavy-ion operations, the goals are just as challenging: with lead ions the objective is to obtain an integrated luminosity of 10 nb–1 during four runs starting from 2021 (compared to the 2015 achievement of less than 1 nb–1). This has demanded a significant upgrade programme that is now being implemented. One of the first challenges faced by the LIU team members was to define the beam-performance limitations of all the accelerators in the injector chain and identify the actions needed to overcome them by the required amount. Significant machine and simulation studies were carried out over a period of years, while functional and engineering specifications were prepared to provide clear guidelines to the equipment groups. This was followed by the production of the first hardware prototype devices and their installation in the machines for testing and, where possible, early exploitation. Significant progress has already been made concerning the production of ion beams. Thanks to the modifications in Linac 3 and LEIR implemented after 2015 and the intensive machine studies conducted within the LIU programme over the last three years, the excellent performance of the ion injector chain could be further improved in 2016 (figure 1). This enabled the recorded luminosity for the 2016 proton–lead run to exceed the target value by a factor of almost eight. The main remaining challenges for the ion beams will be to more than double the number of bunches in the LHC through complex RF manipulations in the SPS known as “momentum slip stacking”, as well as to guarantee continued and stable performance of the ion injector chain without constant expert monitoring. Along the proton injector chain, the higher-intensity beams within a comparatively small beam envelope required by the HL-LHC can only be demonstrated after the installation of all the LIU equipment during Long Shutdown 2 (LS2) in 2019–2020. The main installations feature: a new injection region, a new main power supply and RF system in the PSB; a new injection region and RF system to stabilise the future beams in the PS; an upgraded main RF system; and the shielding of vacuum flanges together with partial coating of the beam chambers in order to stabilise future beams against parasitic electromagnetic interaction and electron clouds in the SPS. Beam instrumentation, protection devices and beam dumps also need to be upgraded in all the machines to match the new beam parameters. The baseline goals of the LIU project to meet the challenging HL-LHC requirements are summarised in the panel (final page of feature). Having defined, designed and endorsed all of the baseline items during the last seven years, the LIU project is presently in its execution phase. New hardware is being produced, installed and tested in the different machines. Civil-engineering work is proceeding for the buildings that will host the new PSB main power supply and the upgraded SPS RF equipment, and to prepare the area in which the new SPS internal beam dump will be located. The 86 m-long Linac 4, which will eventually replace Linac 2, is an essential component of the HL-LHC upgrade . The machine, based on newly developed technology, became operational at the end of 2016 following the successful completion of acceleration tests at its nominal energy of 160 MeV. It is presently undergoing an important reliability run that will be instrumental to reach beams with characteristics matching the requirements of the LIU project and to achieve an operational availability higher than 95%, which is an essential level for the first link in the proton injector chain. 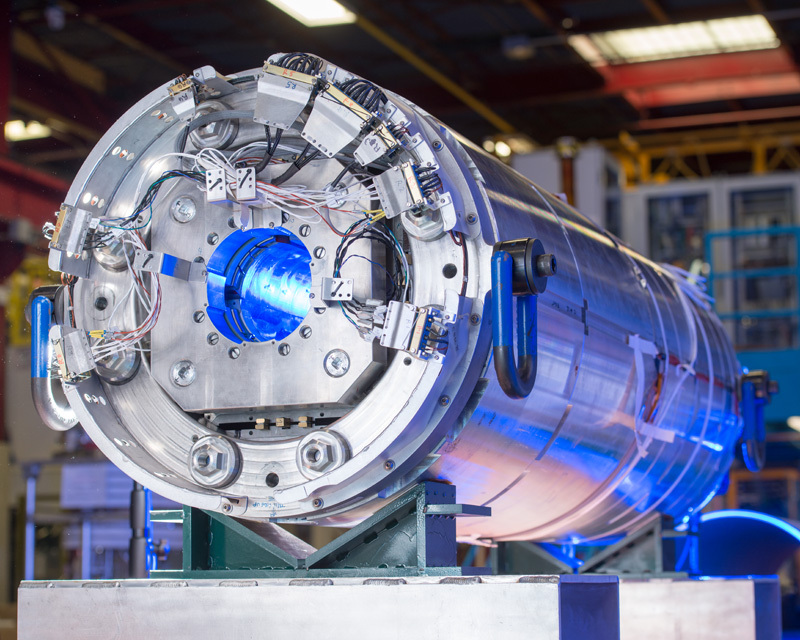 On 26 October 2016, the first 160 MeV negative hydrogen-ion beam was successfully sent to the injection test stand, which operated until the beginning of April 2017 and demonstrated the correct functioning of this new and critical CERN injection system as well as of the related diagnostics and controls. 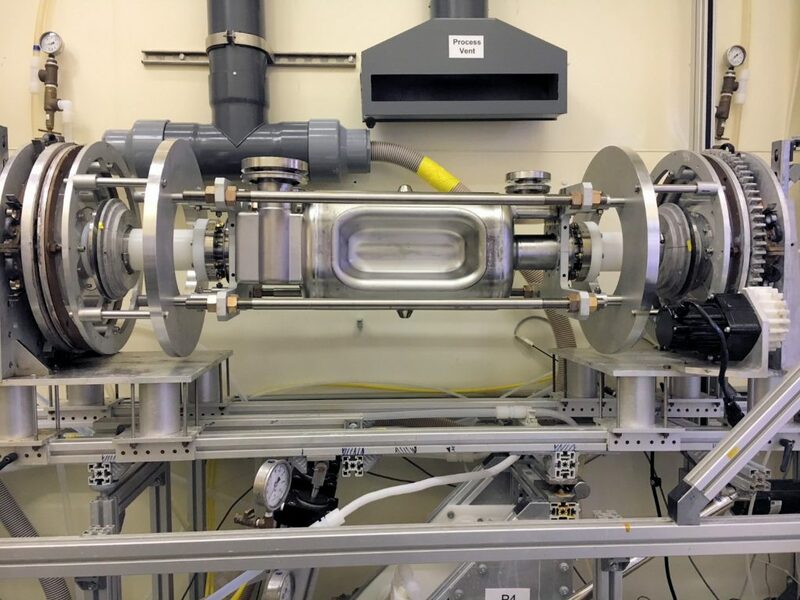 The PSB upgrade has mostly completed the equipment needed for the injection of negative hydrogen ions from Linac 4 into the PSB and is progressing with the 2 GeV energy upgrade of the PSB rings and extraction, with a planned installation date of 2019–2020 during LS2. On the beam-physics side, studies have mainly focused on the deployment of the new wideband RF system, commissioning of beam diagnostics and investigation of space-charge effects. During the 2016–2017 technical stop, the principal LIU-related activities were the removal of a large volume of obsolete cables and the installation of new beam instrumentation (e.g. a prototype transverse size measurement device and turn-by-turn orbit measurement systems). The unused cables, which had been individually identified and labelled beforehand, could be safely removed from the machine to allow cables for the new LIU equipment to be pulled. The procurement, construction, installation and testing of upgrade items for the PS is also progressing. Some hardware, such as new corrector magnets and power supplies, a newly developed beam gas-ionisation monitor and new injection vacuum chambers to remove aperture limitations, was already installed during past technical stops. Mitigating anticipated longitudinal beam instabilities in the PS is essential for achieving the LIU baseline beam parameters. This requires that the parasitic electromagnetic interaction of the beam with the multiple RF systems has to be reduced and a new feedback system has to be deployed to keep the beam stable. Beam-dynamics studies will determine the present intensity reach of the PS and identify any remaining needs to comfortably achieve the value required for the HL-LHC. Improved schemes of bunch rotation are also under investigation to better match the beam extracted from the PS to the SPS RF system and thus limit the beam losses at injection energy in the SPS. In the SPS, the LIU deployment in the tunnel has begun in earnest, with the re-arrangement and improvement of the extraction kicker system, the start of civil engineering for the new beam-dump system in LSS5 and the shielding of vacuum flanges in 10 half-cells together with the amorphous carbon coating of the adjacent beam chambers (to mitigate against electron-cloud effects). In a notable first, eight dipole and 10 focusing quadrupole magnet chambers were amorphous carbon coated in-situ during the 2016–2017 technical stop, proving the industrialisation of this process (figure 2). The new overground RF building needed to accommodate the power amplifiers of the upgraded main RF system has been completed, while procurement and testing of the solid-state amplifiers has also commenced. The prototyping and engineering for the LIU beam-dump is in progress with the construction and installation of a new SPS beam-dump block, which will be able to cope with the higher beam intensities of the HL-LHC and minimise radiation issues. Regarding diagnostics, the development of beam-size measurement devices based on flying wire, gas ionisation and synchrotron radiation, all of which are part of the LIU programme, is already providing meaningful results (figure 3) addressing the challenges of measuring the operating high-intensity and high-brightness beams with high precision. From the machine performance and beam dynamics side, measurements in 2015–2016 made with the very high intensities available from the PS meant that new regimes were probed in terms of electron-cloud instabilities, RF power and losses at injection. More studies are planned in 2017–2018 to clearly identify a path for the mitigation of the injection losses when operating with higher beam currents. The success of LIU in delivering beams with the desired parameters is the key to achieving the HL-LHC luminosity target. Without the LIU beams, all of the other necessary HL-LHC developments – including high-field triplet magnets [see above], crab cavities and new collimators – would only allow a fraction of the desired luminosity to be delivered to experiments. Whenever possible, LIU installation work is taking place during CERN’s regular year-end technical stops. But the great majority of the upgrade requires an extended machine stop and therefore will have to wait until LS2 for implementation. The duration of access to the different accelerators during LS2 is being defined and careful preparation is ongoing to manage the work on site, ensure safety and level the available resources among the different machines in the CERN accelerator complex. After all of the LIU upgrades are in place, beams will be commissioned with the newly installed systems. The LIU goals in terms of beam characteristics are, by definition, uncharted territory. Reaching them will require not only a high level of expertise, but also careful optimisation and extensive beam-physics and machine-development studies in all of CERN’s accelerators. The superconducting magnets of the future are under development and CERN is on the front line. 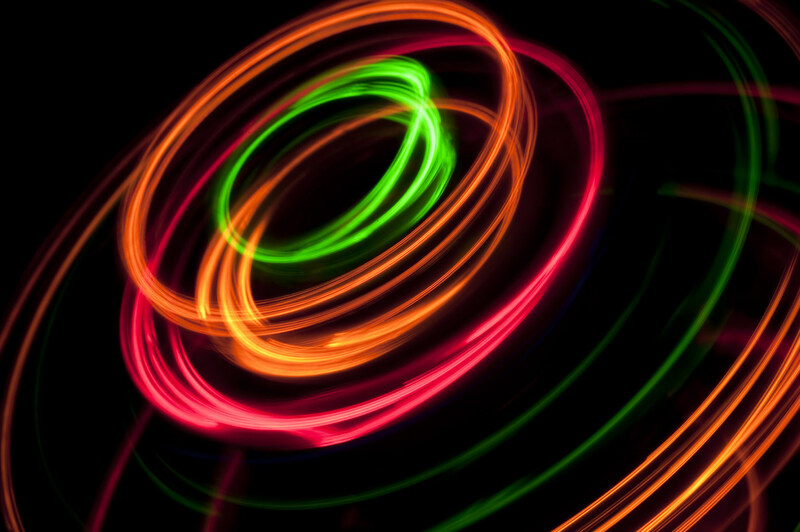 To increase the energy of circular colliders, physicists are counting on ever more powerful magnets, capable of generating magnetic fields way beyond the 8 Tesla produced by the magnets in the Large Hadron Collider (LHC). Magnets generating fields of almost 12 Tesla, based on a superconducting niobium-tin compound, are already being manufactured for the High-Luminosity LHC. But CERN and its partners have also started work on the next generation of magnets, which will need to be capable of generating fields of 16 Tesla and more, for the colliders of the future such as those under consideration in the FCC (Future Circular Collider) study. To achieve this goal, the performance of niobium-tin superconducting cable is being pushed to the limits. One of the key steps in the programme is the development of a test station capable of testing the new cables in realistic conditions, i.e. in a strong magnetic field. Such a facility, in the form of a dipole magnet with a large aperture, has been set up at CERN. 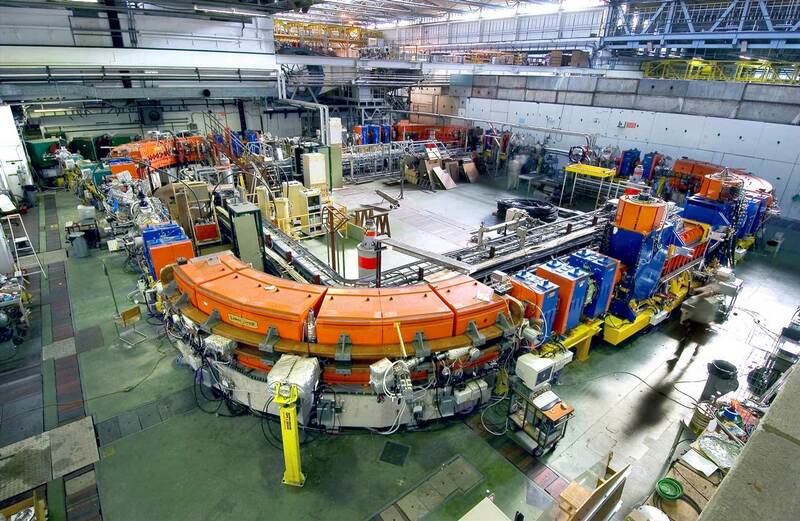 The magnet, known as FRESCA2, was developed as part of a collaboration between CERN and CEA-Saclay in the framework of the European EuCARD programme. At the start of August, FRESCA2 reached an important milestone when it achieved its design magnetic field, generating 13.3 Tesla at the centre of a 10-centimetre aperture for 4 hours in a row – a first for a magnet with such a large aperture. By comparison, the current magnets in the LHC generate fields of around 8 Tesla at the centre of a 50-millimetre aperture. The development and performance of FRESCA2 were presented today at the EUCAS 2017 conference on superconductors and their applications. Testing of the cables under the influence of a strong magnetic field is a vital step. “We not only need to test the maximum current that can be carried by the cable, but also all the effects of the magnetic field. The quality of the field must be perfect,” explains Gijs De Rijk, deputy leader of the Magnets, Superconductors and Cryostats group at CERN. The precision with which the intensity of the magnetic field can be adjusted is an important feature for an accelerator. When the energy of the beams is increased, the intensity of the field that guides them must be increased gradually, without sudden spikes, or the beams could be lost. The fact that the magnets in the LHC can be adjusted with a great degree of precision, keeping their magnetic fields stable, is what allows the beams to circulate in the machine for hours at a time. The two coils of FRESCA2 are formed from a superconducting cable made of niobium-tin. Their temperature is maintained at 2 degrees above absolute zero. The magnet they form is much larger than an LHC magner, measuring 1.5 metres in length and 1 metre in diameter. This allows the magnet to have a large aperture, measuring 10 centimetres, so that it can house the cables being tested, as well as sensors to observe their behaviour. FRESCA2 will also be used to test coils formed from high-temperature superconductors (an article on this subject will be published tomorrow). FRESCA2 is being modified so that by the end of this year it will be able to generate an even stronger field. The station will then be ready to receive the samples to be tested. See the CEA-Saclay IRFU (Institute of Research into the Fundamental Laws of the Universe) article. 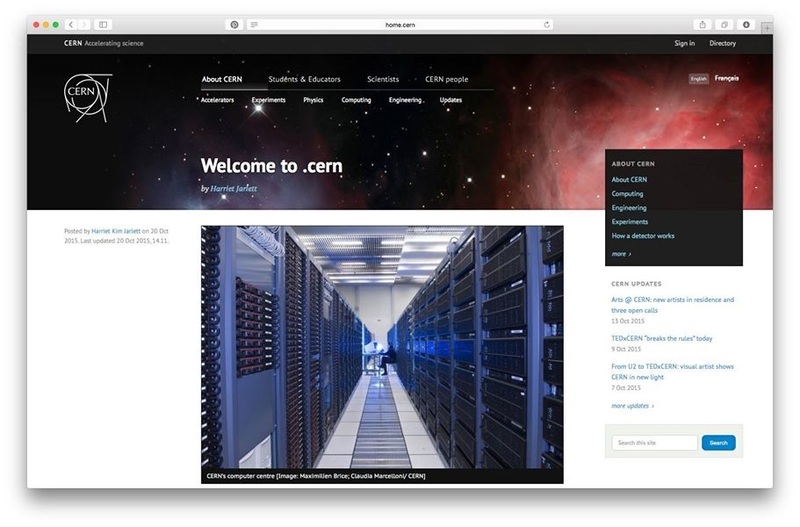 CERN openlab has published a white paper identifying the major ICT challenges that face CERN and other ‘big science’ projects in the coming years. A continuing programme of upgrades to the LHC and the experiments at CERN will result in hugely increased ICT demands in the coming years. The High-Luminosity LHC, the successor to the LHC, is planned to come online in around 2026. By this time, the total computing capacity required by the experiments is expected to be 50-100 times greater than today, with data storage needs expected to be in the order of exabytes. The United States Department of Energy (DOE) and the European Organization for Nuclear Research (CERN) last week signed three new agreements securing a symbiotic partnership for scientific projects based both in the United States and Europe. These new agreements, which follow from protocols signed by both agencies in 2015, outline the contributions CERN will make to the neutrino program hosted by Fermilab in the United States and the U.S. Department of Energy’s contributions to the High-Luminosity Large Hadron Collider upgrade program at CERN. Researchers, engineers and technicians at CERN are currently designing detector technology for the U.S. neutrino research program hosted by Fermilab. Neutrinos are nearly massless, neutral particles that interact so rarely with other matter that trillions of them pass through our bodies each second without leaving a trace. These tiny particles could be key to a deeper understanding of our universe, but their unique properties make them very difficult to study. Using intense particle beams and sophisticated detectors, Fermilab currently operates three neutrino experiments (NOvA, MicroBooNE and MINERvA) and has three more in development, including the Deep Underground Neutrino Experiment (DUNE) and two short-baseline experiments on the Fermilab site, one of which will make use of the Italian ICARUS detector, currently being prepared for transport from CERN. The Long Baseline Neutrino Facility will provide the infrastructure needed to support DUNE both on the Fermilab site in Illinois and at the Sanford Underground Research Facility in South Dakota. Together, LBNF/DUNE represent the first international megascience project to be built at a DOE national laboratory. The first agreement, signed last week, describes CERN’s provision of the first cryostat to house the massive DUNE detectors in South Dakota, which represent a major investment by CERN to the U.S.-hosted neutrino program. This critical piece of technology ensures that the particle detectors can operate below a temperature of minus 300 degrees Celsius, allowing them to record the traces of neutrinos as they pass through. The agreement also formalizes CERN’s support for construction and testing of prototype DUNE detectors. Researchers at CERN are currently working in partnership with Fermilab and other DUNE collaborating institutions to build prototypes for the huge subterranean detectors which will eventually sit a mile underground at the Sanford Underground Research Facility in South Dakota. These detectors will capture and measure neutrinos generated by Fermilab’s neutrino beam located 800 miles away. The prototypes developed at CERN will test and refine new methods for measuring neutrinos, and engineers will later integrate this new technology into the final detector designs for DUNE. The agreement also lays out the framework and objectives for CERN’s participation in Fermilab’s Short Baseline Neutrino Program, which is assembling a suite of three detectors to search for a hypothesized new type of neutrino. CERN has been refurbishing the ICARUS detector that originally searched for neutrinos at INFN’s Gran Sasso Laboratory in Italy and will ship it to Fermilab later this spring. More than 1,700 scientists and engineers from DOE national laboratories and U.S. universities work on the Large Hadron Collider (LHC) experiments hosted at CERN. The LHC is the world’s most powerful particle collider, used to discover the Higgs boson in 2012 and now opening new realms of scientific discovery with higher-energy and higher-intensity beams. U.S. scientists, students, engineers and technicians contributed critical accelerator and detectors components for the original construction of the LHC and subsequent upgrades, and U.S. researchers continue to play essential roles in the international community that maintains, operates and analyzes data from the LHC experiments. The second agreement concerns the next phase of the LHC program, which includes an upgrade of the accelerator to increase the luminosity, a measurement of particle collisions per second. 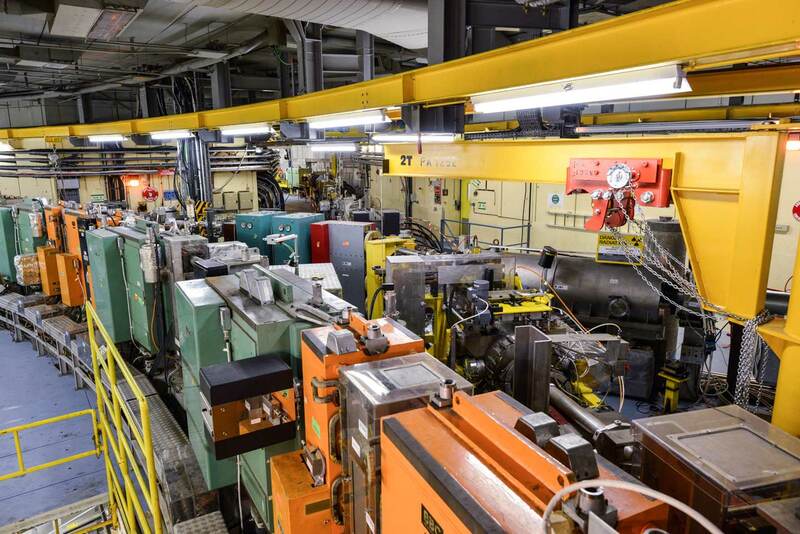 Scientists and engineers at U.S. national laboratories and universities are partnering with CERN to design powerful focusing magnets that employ state-of-the-art superconducting technology. The final magnets will be constructed by both American and European industries and then installed inside the LHC tunnel. The higher collision rate enabled by these magnets will help generate the huge amount of data scientists need in order to search and discover new particles and study extremely rare processes. American experts funded by DOE will also contribute to detector upgrades that will enable the ATLAS and CMS experiments to withstand the deluge of particles emanating from the LHC’s high-luminosity collisions. This work is detailed in the third agreement. These upgrades will make the detectors more robust and provide a high-resolution and three-dimensional picture of what is happening when rare particles metamorphose and decay. Fermilab will be a hub of upgrade activity for both the LHC accelerator and the CMS experiment upgrades, serving as the host DOE laboratory for the High-Luminosity LHC Accelerator Upgrade and the CMS Detector Upgrade projects. 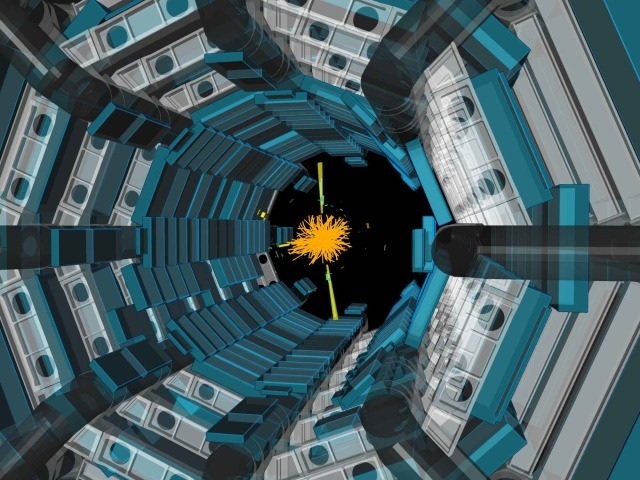 A new multi-million-pound project between CERN, the Science and Technology Facilities Council (STFC) and six other UK institutions has been launched to contribute to the upgrade of the Large Hadron Collider (LHC) at CERN in Geneva. The world’s highest energy particle collider shall be upgraded to the High Luminosity LHC (HL-LHC) in the 2020s through international collaboration. The challenges of this project are best tackled with input from the project partners from around the world. Several partnerships have already been established with the HL-LHC project and there is room for more potential partnerships in the future. It has now been announced that the UK will make contributions in four areas across the new HL-LHC-UK project among other contributions from UK universities. The full exploitation of the LHC is the highest priority in the European Strategy for Particle Physics, adopted by the CERN Council and integrated into the ESFRI Roadmap. The full HL-LHC project funding was approved by the CERN Council in June 2016. To extend its discovery potential, the LHC will need a major upgrade around 2025 to increase its luminosity (rate of collisions) by a factor of 10 beyond the original design value (from 300 to 3,000 fb-1). This will enable scientists to look for new, very rare fundamental particles, and to measure known particles such as the Higgs boson with unprecedented accuracy. Upgrading the LHC calls for technology breakthroughs in areas already under study, and requires about 10 years of research to implement. HL-LHC relies on a number of key innovative technologies, representing exceptional technological challenges. Led by experts from the Cockcroft Institute, the HL-LHC-UK project has now been established to address these challenges. Within HL-LHC-UK, the partner institutions will perform cutting-edge research and deliver hardware for the LHC upgrade in four areas: 1) proton beam collimation to remove stray halo protons, 2) the development and test of transverse deflecting cavities (“crab cavities”), 3) new methods to diagnose the stored beams including gas jet-based beam profile monitors and, 4) novel beam position monitors, as well as sophisticated cold powering technology needed for the cryogenic systems. The HL-LHC-UK project comprises the University of Manchester (Cockcroft Institute), Lancaster University (Cockcroft Institute), the University of Liverpool (Cockcroft Institute), the University of Huddersfield (International Institute of Accelerator Applications), Royal Holloway University of London (John Adams Institute), the University of Southampton and the Science and Technology Facilities Council (STFC). The spokesperson is Rob Appleby (Manchester) and the project manager is Graeme Burt (Lancaster). More information about the High Luminosity LHC project, its technology and design as well as the challenges ahead can be found in the recently released open access HiLumi LHC book The High Luminosity Large Hadron Collider. The New Machine for Illuminating the Mysteries of the Universe.